Bacterial wilt (BW) incited by Ralstonia pseudosolanacearum (Rps), is one among the most economically important and devastating disease prevalent in all the ginger growing countries. Several strategies encompassing cultural, physical and chemical means have been reported to manage bacterial wilt but with limited success. In the present study, a technology integrating physical (soil solarization), chemical (soil amelioration with calcium chloride) and biological (ginger apoplastic bacterium - Bacillus licheniformis) methods has been developed to manage BW efficiently, economically and eco-friendly. The results indicated that, CaCl2 (2 to 4%) is inhibitory to R. pseudosolanacearum under in vitro conditions. 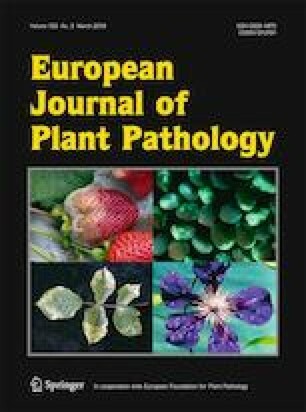 In planta evaluation under challenge inoculation showed 71%, 98% and 100% reduction in BW with B. licheniformis, 3% and 4% CaCl2, respectively. Subsequent field evaluation involving soil solarization followed by soil amelioration with CaCl2 or with B. licheniformis resulted in significant reduction in the population of R. pseudosolanacearum from 108 to 103. Further field evaluation in farmer’s plot in BW endemic regions also resulted in 100% disease suppression adopting the technology. The results emanated from the present study indicated that the technology developed which includes soil solarization along with soil amelioration with either CaCl2 3% or B. licheniformis would serve as a viable and effective integrated strategy for the management of BW in ginger. The authors are grateful to The Director, ICAR-Indian Institute of Spices research, Kozhikode for facilitating the research, Indian Council of Agricultural Research, New Delhi for funding through Phytofura, the outreach programme and Mr. K. Jayarajan for statistical analysis. This research article is not submitted elsewhere for publication and this manuscript complies to the Ethical Rules applicable for this journal. None of the authors declare a conflict of interest, with all authors consenting to publication.